Our travel blog, like all of Spot Cool Stuff, runs on WordPress. Over the months we’ve downloaded and activated many dozens of WordPress plugins. And then deactivating almost all of them. Most plugins are too buggy, too time consuming, and/or too unimportant to bother with. There are, however, five plugins that we think any WordPress travel blogger should seriously consider using. Each works with WP version 2.7 and 2.8. 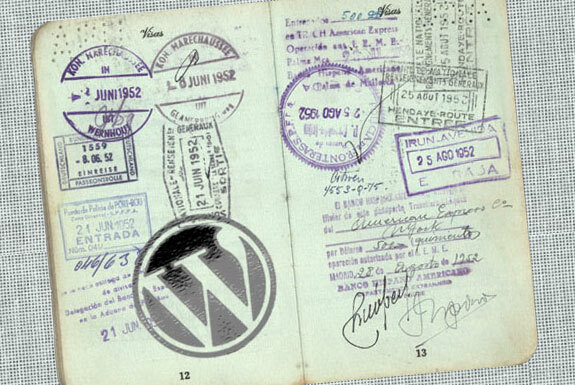 What a great plugin this is for customizing your travel blog for your international readers! In your posts you write prices in your home currency and LocalCurrency will detect each of your visitor’s IP address and automatically convert that price to their currency. Let’s say you are in the United States writing about a cool hotel and mention that it costs $100 per night. Your blog readers in London will see the price listed as $100 (GBP£69.59) per night, those in Beijing will see $100 (CNY元684) per night, those in Seoul will see $100 (KRW₩135,744) per night and so on. How cool is that?! Once activated LocalCurrency is super easy to use—a button will automatically wrap < —-> tags around the figure you highlight. Unfortunately, the plugin assumes you are always listing prices in the same currency (ie. it will always convert from U.S. dollars, or yen, or whatever currency you select). That limits how much we can use it on the Spot Cool Stuff travel blog where we cover global destinations and list prices in the local currency. Hopefully the next version will be able to convert from multiple currencies. See the plugin at work in one of our many posts about unusual accommodations: Berlin’s Billboard Hotel. 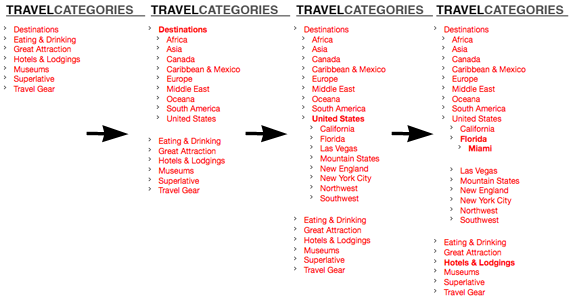 Travel blogs tend to have posts in many more categories and sub-categories than other kinds of blogs. Take our post on Four High Design, High Value, South Beach Miami Hotels for example. That post is in our Miami category, which is a subset of the Florida category, which is a subset of United States, itself a subset of Destinations. That post is also in our High Design Hotels category, a subset of Hostels & Lodging. It’s also listed under Affordable Luxury, a subset of the Superlatives category. Altogether we have 121 categories and counting. The only thing giving any semblance of order to the chaos is the fantastic Folding Categories plugin. Activate this plugin and you can put a widget in your sidebar that will show only your top level categories on the homepage. As your readers click down into your blog’s content the relevant sub-categories will unfold. It is all highly customizable. You set the order the categories appear and can even control the font attributes. We’re surprised at how many travel blogs don’t incorporate maps into their content. Especially when there are so many great plugins that make adding Google maps so easy. We’ve tried most, if not all, of the mapping plugins and found Geo Mashup the best. The plugin puts a mapping tool is on the same page you use to write your post, so there’s no need to go to the Google Maps website. Input the address you’d like to map, type [geo_mashup_map] in your post where you’d like your map to appear and that’s it. In fact, you don’t necessarily even need to know the street address you want to map. 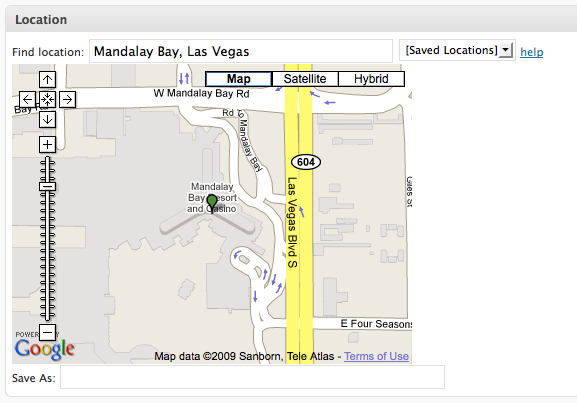 For our post about an ice bar in the Mandalay Bay Resort all we had to do is type “Mandalay Bay, Las Vegas” into the Geo Mashup location field and our map appeared. Almost every great travel blog has great photos. Yet few travel blogs optimize their photos so that they appear high in the Google Image Search results, probably because adding all those title and alt tags is time intensive. At least, it is without the SEO Friendly Images plugin. This is the sort of plugin you install and forget. The plugin does all the work. And you’ll see dozens—potentially hundreds—more page views as a result. While we’re on the subject of photos, Flickr Gallery is our favorite plugin for incorporating Flickr photos onto a blog and Slimbox is the best plugin for displaying photos with a lightbox effect. If your blog is travelogue, telling the story of an ongoing trip, then a good calendar of your future travel plans is key. And Event Calandar 3 is the best of the calendar creating plugins. Event Calendar is easy to use. Events are added in exactly the same way you’d write any post—simply list a post in the calendar category (or whatever category name you’d like), assign it a date (or time, if applicable) and that’s it. Your calendar can be incorporated into a post or page or placed on your sidebar. You can also link blog posts to specific calendar events. Some really great plugins for travel blogs, haven’t even thought about some of them. Thanks! I’m just starting my travel blog so this post has given me a few ideas! The plugin puts a mapping tool is on the same page you use to write your post, so there’s no need to go to the Google Maps website. I just thought I’d comment on the calendar plugin. We have a holiday website where amongst other things we have holiday properties available for rental with availability calendars. I tried lots of different calendar plugins, but in the end found that Google Calendar is the easiest to use – its very easy to incorporate into a webpage, and you can add events (we use it to show property rental availability) without having to log in to your blog. You can also share the calendar so other people can add their own events. In short its brilliant. Very good plugins for blog..I was looking for these plug-in and finally got from here..
Currency and Google maps are a must have plugins for any travel blogs. Thanks for shering this, I never thought about the currency plugin! Awesome plug-in list. I can think of a bunch of uses for the Google maps one. Thanks for sharing. Thx for sharing – the currency plugin is really helpfull! Definitely a great list of plugins; I’d have to say Google Maps is my favorite. Saves my visitors a lot of time from having to go on Google Maps and search themselves; it’s all already on my website for them. Hello from Buenos Aires, just wanted to thank you for the post. I work in the travel business and the information is great. Great write up…i was looking for a good google geo mapping system to incorporate into my wordpress travel blog…thanks for the great information! Will try them too, thanks. This is an excellent post. I will use many of these plugins for my travel blog that is documenting my trip around the world. Thanks for the recommendations, I’ll be trying out the Organize Your Categories plugin on my site. I did not heard of the plugin “Organize Your Categories”, which will be really useful for me. thanks. Thats a really and informative posts. I will definetly use the category and google maps plugin. Thanks for the suggestion, Neil. thanks for the tips :) im still learning wordpress as i go, its a maze for sure, can’t wait for my website to look awesome!! The travel plug ins are a great tips, thank you. I particularaly like the SEO plug in for photos – I don’t have the time (or the patience) to individually tag and optimise each of the photos on my blog. Like Justin, I’m using the free wordpress interface, but I’m weighing up the options of getting hosting for my site as its starting to grow quickly. Any advice? Great plugins collection, thanks for sharing! That currency converter is fantastic. On Hotels Fairy we’ve got a lot of posts that mention hotel prices and we’ve been banging our heads trying to figure out what to because most of our visitors are split between the UK and US. Now its all taken care of! 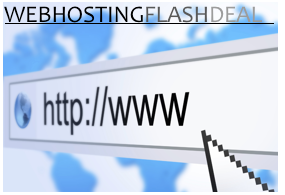 Hi, I found cool flash photo galleries plugin for WordPress. Named GRAND Flash Album Gallery – multi category flash skin based photo gallery with powerful admin. I used it in my blog. There are so many different settings. You can adjust the color scheme for your blog as you wish. There are many different skins. You can present your photo gallery in a wonderful way, there is a full-screen mode. This is a very cool plugin for travle blog. Thanks for sharing! I hadn’t heard of the Flickr gallery plugin. The one I’d been using wasn’t quite as in-depth as that one. Oh and the Folding Categories plugin will definitely come in handy. I’m getting my travel blog up and running before a four month trip and really appreciate these tips. Can you recommend a good plugin to add a map widget to the sidebar that can show each place I’ve been, after I’ve been there (no set agenda for the trip)? Maybe one that’s linked to my categories so that people can click a pinpoint on the map and go the category for that country?? Great post! That currency conversion plugin makes the whole post worth bookmarking for me, for future reference! Wow, thanks, this is a great list. I’m just learning WordPress now so this will be very helpful. You can get a free wordpress blog with these plugins at triwp.com . For use while traveling! Thanks for this, very useful. Will certainly be having a go with GEO Mashup and SEO friendly images. Thanks for a good list. I prefer to list everything in US Dollars, so I will probably not start using the currency converter. But Google Maps would be a great addition to the 4 Season Travel Blog! I am sure you will find maps in a lot of my posts in the future! So thank you again for giving me some good inspiration for the blog! Thank you for sharing; really cool tools! This is a really help ful blog, and as a design of a travel blog website user I will take into account these useful plugs ins. Ideally I would like to take my site to another level by allowing bloggers to great a world map of locations they have blog about. There are similar things out the web, but there is little or no open source that I can find. I guess one solution is to design my own, yet I fear my web design and programming isnt up to the task yet. Can anyone giving me a helping hand. Thanks for the article again, keep up the good work. My understanding is that you can add any plugin that’s on the WordPress official site (which Geo Mashup is but which LocalCurrency is not). However, I’ve never used the WordPress-hosted interface myself. Maybe some one else who finds their way to these words could confirm? I’m wondering … does a travel blog need to be self-hosted to use these plug-ins? The Google Map feature would be a nice addition, so I hope I can use it. Wandering Justin’s last blog post..The world’s coolest hotel … and one of the coldest! Wow. Thanks! I’m in the process of creating my travel blog now and these tips are hugely helpful.